Think dental insurance is too expensive? Then I highly recommend you look into your nearest dental school for affordable insurance plans and opportunities to participate in student clinics. In some cases, you might even get paid for your dental procedure. I’d always paid out-of-pocket for dental care, until I started graduate school at New York University. During my first cleaning in almost two years, I found out I had not one, but three cavities. Thankfully, I’d recently enrolled in the university’s Stu-Dent Insurance for $240 a year, which I learned would cover the cost of treatment — and then some. The dentist informed me my cavities qualified for the dental student’s clinical exam and because my insurance would have covered the cost, I’d actually be paid for my participation. The rate was $50 per cavity, plus free cab fare to the college the day of the exam. At first I was hesitant. Did I really want a dentist-in-training drilling holes in my teeth? But then I was assured the student would be overseen by several dentists, doctors and faculty members. So supervised, in fact, that the entire exam start to finish would be more than three hours long. Getting to the college on exam day was a breeze. I didn’t have to walk a mile to the subway station and ride the always crowded 6 train downtown. Instead, I just hailed a cab and was there in less than 10 minutes. When I arrived, there was a dental student waiting outside the building, ready to pay for my cab. Check-in was fairly straightforward. I met my student dentist, filled out some paperwork and sat in the waiting area until my name was called. The exam was held in a big, bright, open room divided into a ton of exam stations furnished with all of the standard equipment: the massive leather chair, absurdly bright spot light and tray of tools that look like medieval torture instruments. I really dread going to the dentist, even just for a cleaning, but this was one of the better experiences I’ve had. My student dentist was very sweet, gentle and patient. She even gave me a hug and a thank you card after the exam. The check inside the card certainly sweetened the experience. It only took a little courage and three hours of my time to be cavity-free and $150 richer. Now, before you get too excited, I have to explain how this was partly due to luck. There are two reasons I was paid to have my cavities filled. First, I already had insurance that would’ve covered the procedure. Second, I had the specific kind of cavity students need to perform their exam on. I never thought I’d say I was lucky to have a cavity! While not everyone will qualify for payment, you can save a lot of money by going to student clinics. Student clinics are a win-win situation. They provide patients with high-quality care at reduced fees, while providing students with practical clinical experience. Dental clinics are where students train to become dentists, and provide both preventive care and treatment. Dental hygiene clinics only provide preventive care, but tend to be less expensive — some are even free! 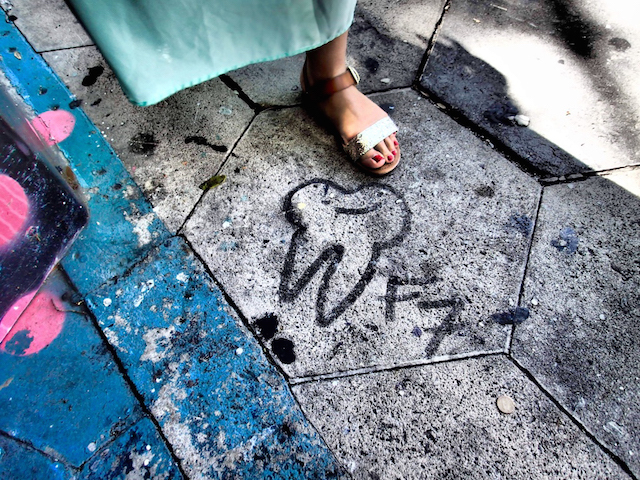 The dental hygiene clinic at West Coast University provides FREE care to patients of all ages, regardless of income. Pima Medical Institute, with locations in three states, provides a cleaning, examination and full x-rays for only $19.95. Student clinics are typically 30%-70% less than private practices. Use the Fair Health Consumer Cost Lookup tool to find out how much dental care would cost at a private practice near you. Simply type in your zip code, choose “uninsured,” and choose the type of service you’re interested in. In New York City, a cleaning and full mouth x-rays for an adult at a private practice is around $175. The NYU College of Dentistry student clinic is only $75 — 42% less! Keep in mind, treatment at a clinic is a little different than at a private practice. Some programs have an application process to become a patient. New patient openings may be limited. Initial examination and treatment fees vary. Most student clinic appointments are three hours long. Treatment and appointments take longer because students are being supervised and evaluated by licensed dentists and faculty members of the program… not necessarily a bad thing. You must be flexible with a student’s schedule and academic needs. Your student provider will change every couple of years due to graduation. Don’t think student clinics are the best option for you? Check out this post for more ways to save on dental care! Here are just a few clinics at some of the top dental schools in the country, but there are many more! Search the American Dental Association (ADA) website or call your state dental society to find a dental program near you. About: To become a patient, call to schedule an appointment and complete the new patient registration form online. Fees: Initial screening appointment fee $95. Treatment fees are 40% less than at a private practice. About: To become a new patient, you first have to make a screening appointment. Appointments are available Monday – Friday at 8 a.m. or 12 p.m. You must arrive 30 minutes early and the appointment will take approximately three hours. The information gathered at the screening will be used to determine treatment needs and necessary future appointments will be scheduled. Fees: Initial examination fee $174. Treatment fees are 30% less than at a private practice. About: Before you can make a screening appointment, you must first complete a screening form. After the screening appointment, you’ll be contacted to schedule necessary treatment appointments. Fees: The screening fee is $13. Pre-doctoral clinic fees are 68% less* than private practices. Advanced graduate clinics (treatment performed by licensed dentists pursuing advanced training) are 33% less* than at a private practice. *According to a comparison with prices listed in the National Dental Advisory Service 2014 Comprehensive Fee Report. About: To become a patient, you first have to request to receive an application. The application will arrive in the mail within 10 days and must be returned by mail. Each month the school draws a new application and contacts the patient to schedule a screening appointment to determine if the patient qualifies for treatment. If you’re accepted, you’ll be assigned to a dental student and scheduled for treatment. Fees: No screening appointment fee. X-rays $80-$160. Treatment fees are one-third of those in private practice. About: To become a patient of the UW student clinic, you first have to call to make an appointment for a free screening, followed by an appointment for an initial comprehensive exam — based on need for new patients. Fees: Screening appointment and X-rays are free. The initial comprehensive exam is $77. Necessary additional x-rays at comprehensive exams cost up to $70. Treatment fees are 40% less than a private practice. Example: Composite filling $70-150. Your Turn: Have you ever been a patient of a student clinic? Angela Andre (@angandre) is an aspiring writer and foodie with a serious sweet tooth, which is probably how she ended up with three cavities.